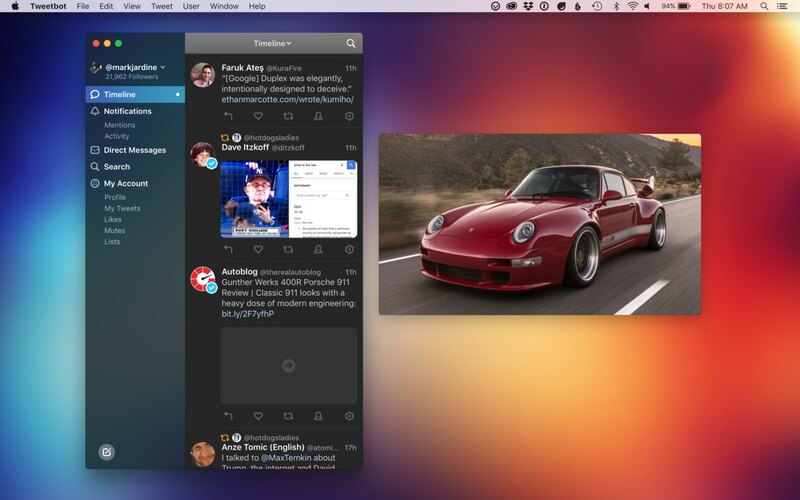 Developer Tapbots today released Tweetbot 3 for Mac on Mac App Store. 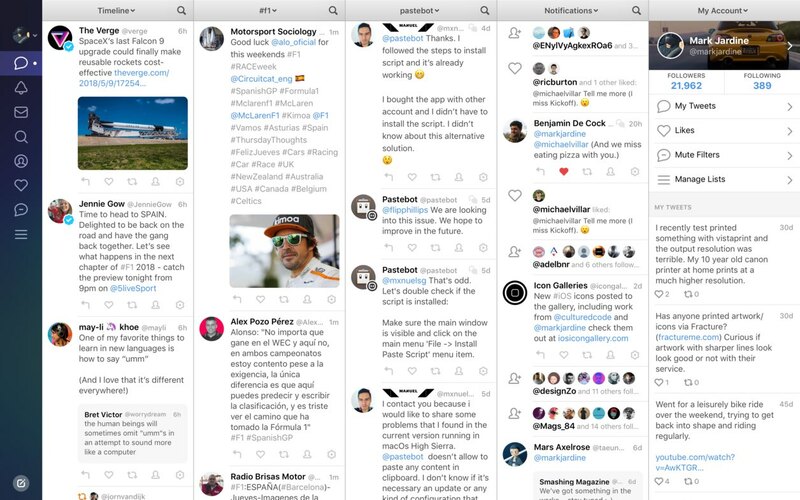 A major update to the popular Twitter client, Tweetbot 3 brings a redesigned user interface along with a host of new features and improvements. Unfortunately, Tweetbot 3 is a paid upgrade from the original Tweetbot app and Tweetbot 2. Existing users will need to spend an additional ten bucks to enjoy the cleaner interface and feature enhancements in Tweetbot 3. From a design standpoint, Tweetbot no longer feels crammed thanks to more white space. Columns have been rebuilt from the ground up to be far more accessible and customizable. You can now add a column just by dragging from the right side of the app. To remove a column, drag it all the way to the left-hand side. 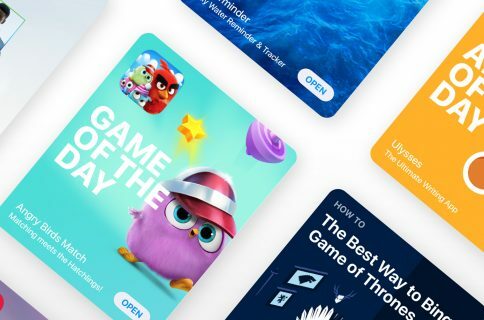 These actions, along with others such as changing the content of a column or column reordering—are now readily accessible with a click or two, no need to hunt for appropriate options nested in the app’s menus. Accessing commonly used options for replying, retweeting, liking and more is also a lot easier than before thanks to persistent icons. Other things have been moved around: the options to mute/block an account or file a report are now accessible directly from the timeline without needing to visit someone’s profile page. A new expandable sidebar, an optional feature, gives you one-click access to all of your subsections like your lists, direct message conversations and saved searches. 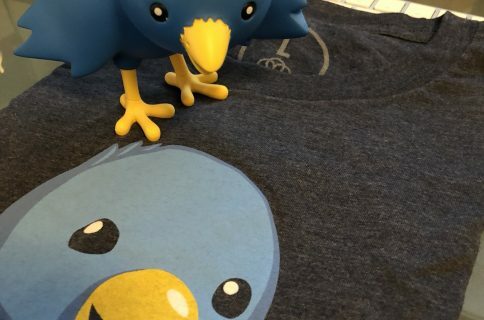 Tweetbot now automatically plays videos and animated GIFs in your timeline with a quick mouseover. Don’t worry, you can disable autoplay videos in preferences. 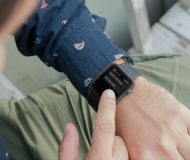 A click on a media item opens it up in the built-in media viewer, rebuilt for speed. An all-new dark theme, one of the most highly requested features for Tweetbot, is here. It doesn’t just look pretty, but also preserves your vision in low light situations. Other enhancements in Tweetbot 3 include a one-click Compose button in the bottom-right corner offering quick access to images, location and emoji, a Notifications tab that consolidates the Mentions and Activity notifications (you can still view them separately), new font size options, an entirely redesigned app icon featuring a rounded bird icon and more. 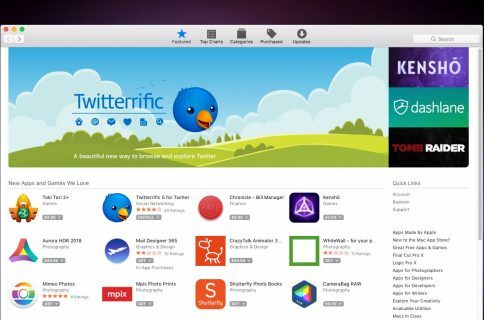 For more information on Tweetbot for Mac, visit the official website. As mentioned, Tweetbot 3 is a paid upgrade from the previous Tweetbot apps. 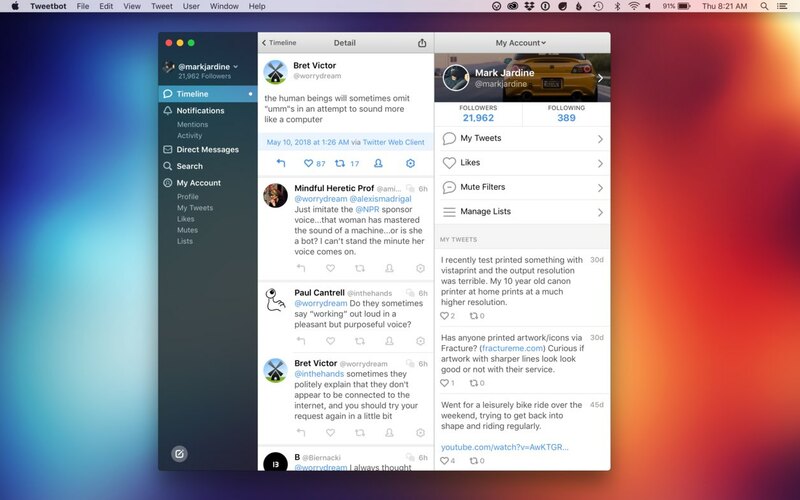 Tweetbot for Mac was originally released in 2012. 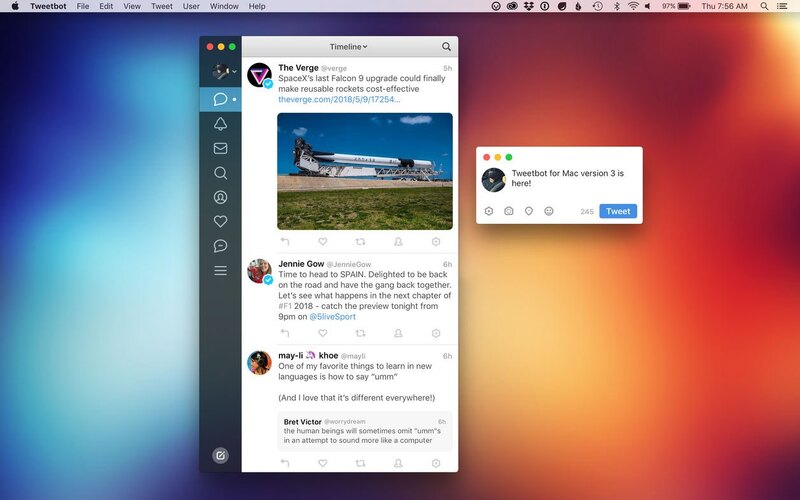 We released Tweetbot 2 for Mac as a free update in 2015. Tweetbot 3 has been rewritten from the ground up and been in development for over a year. The purchase of Tweetbot 3 allows us to continue updating Tweetbot for years to come. 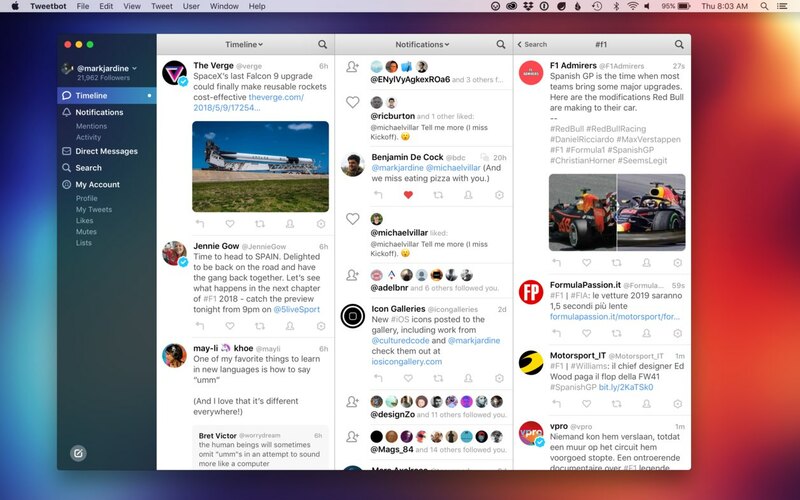 Tweetbot for macOS is a $9.99 download from Mac App Store.